Scottish heritage is alive and well in the town of Fergus, and the Fergus Scottish Corner Shop makes sure of it. The shopkeepers cater to all those who enjoy a taste of Scotland. 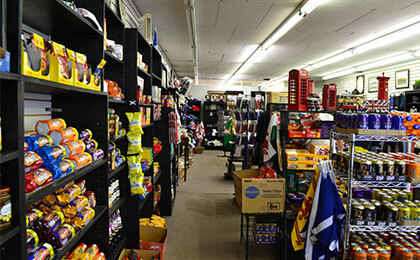 They carry a great selection of Scottish groceries, baking and imported specialty foods. If it’s Scottish culture you’re in search of, you’ll find the best of pop culture items, books and films, sports collectibles and team wear, plus a selection of kilts and other dress attire. Step into a piece of Scotland in downtown Fergus.